My little guy absolutely loves bath time. His love for baths makes me look forward to bath time as well. At 10 weeks old, he has yet to shed a single tear in the bath. He is all smiles! He enjoys sitting in the warm water and smiles at me as I suds him up and rinse him off. It is beyond adorable! I owe our success at bath time, in part, to having the right products. There are several baby bath products that I rely on during bath time. Without them, bath time just wouldn't be as easy and enjoyable as it is for me and the little guy. Johnson & Johnson baby products are my favorite bath time brand. Safety is their #1 priority, and they maintain high standards when it comes to their ingredients and products. Their baby products are hypoallergenic and free of phthalates and parabens. 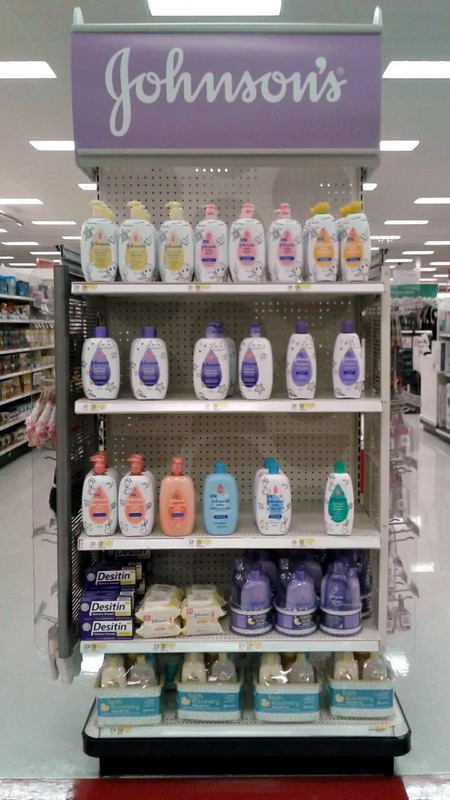 Now Johnson & Johnson baby products are available in new designer wrapped bottles. 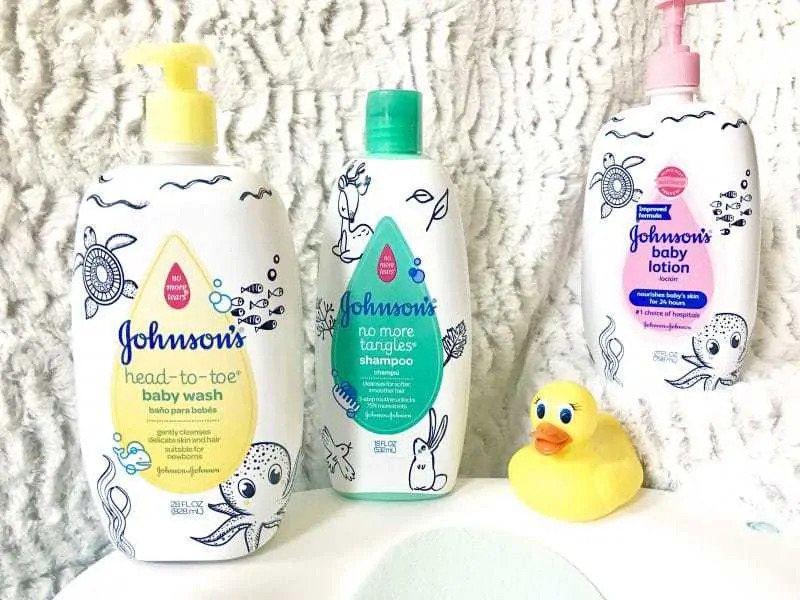 I was already a fan of Johnson & Johnson baby products, but now with the fun designs on the bottle I love literally everything about the products – including the bottle! The adorable designer wrapped bottles are available exclusively at Target. You can find them on an endcap in the baby section as well as online at target.com. Or, you can purchase the products by simply hovering over the products in the image below. Read on to find out my 10 must-have products for bath time with baby. With the proper supplies bath time can be not only fuss-free, but it can even be downright fun! An infant tub is a total must-have for any child who is not yet big enough to sit up in the tub on their own. Look for an infant tub that will grow with baby, and can be used from newborn right up until they are big enough to sit up. Some parents put the infant tub on the countertop while others place it in the bathtub. I put our infant tub in our bathtub, as I find clean up is easier that way. Either way works though, totally just a matter of preference. When it comes to sudsing up, grab the Johnson’s Head-to-Toe Wash. It's what the NICU nurse used to give my little one his first bath in the hospital. 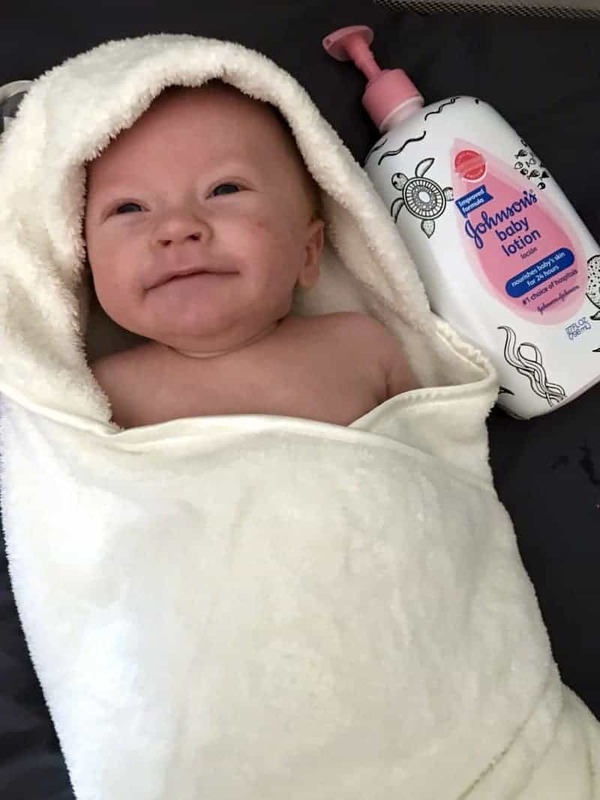 It's dermatologist-tested, hypoallergenic, dry-free, and soap-free formula gently cleanses baby's delicate skin without drying. 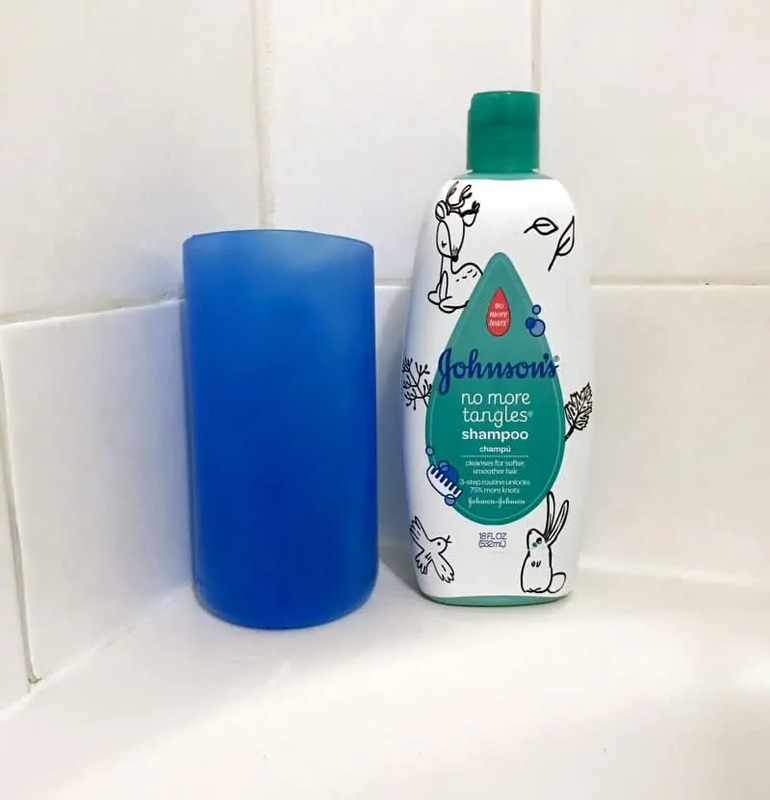 When it comes to baby wash, there really is no better choice than Johnson’s Head-to-Toe Wash.
Stock up on washcloths that will be soft and gentle on baby's' sensitive skin. Look for washcloths made of bamboo, cotton, or muslin as these are all super soft. Bamboo washcloths are my personal favorite. As hard as you may try to keep the shampoo out of baby's eyes, it will get in there from time to time. Trust me. That is why I use Johnson’s Baby No More Tangles Shampoo & Conditioner. It is ultra mild and doesn't irritate baby's skin or eyes, and leaves baby's hair soft and smooth. A rinse cup is necessary for rinsing the shampoo out of your child's hair. Look for a brightly colored cup that will add to the fun of bath time. When you introduce toys into the mix, bath time is less of a chore and more like water play. Granted my little guy is too young to play with toys, I do have some in the closet just waiting for him to be able to use them. For now we just use a rubber duckie, which I honestly play with more than he does. All those bath toys need a play to go once bath time is over. Keep them out of the way, yet easy to access next bath time, with a bath toy holder. Bath toy holders suction up onto your shower wall and are typically netted or have holes in them to allow the toys to drain. When bath time is over you will need a nice and soft hooded towel to wrap your little one up in. Look for a hooded towel made of muslin or terry cloth as these fabrics are soft and very absorbent. They do a great job drying and keeping baby warm after bath time. After drying baby off thoroughly, massage baby's skin with Johnson’s Baby Lotion to keep baby's skin soft and moisturized. Gentle and hypoallergenic Johnson’s Baby Lotion leaves baby's skin feeling smooth and soft — never greasy. After gathering these must-have baby bath products you will be ready for a happy bath time with baby. Happy sudsing! Bath time was a life saver when my kids were babies. It was 30 minutes when I knew they were totally happy! We have always used Johnson’s for our babies. I love that scent! Their products always seemed very gentle on delicate skin too. Awe, he’s adorable. My little guy absolutely loves bathtime too. It’s definitely his favorite part of each day – in fact I don’t think he ever smiles as big as he does when he’s in the tub. We love our Johnson and Johnson shampoo’s and lotions! These are all my must haves as well. I love those darling bottles, we are almost in need of more tear free shampoo and I want to get one of those cute bottles! Johnson & Johnson baby bath products were my go-to when all three of my kids were little. The scents still take me back to that special time! I have such fond memories of bath time with my kids. They used to play in the tub for an hour! There’s nothing like the scent of baby shampoo to make you miss those days! Baby bath essentials, nice list.